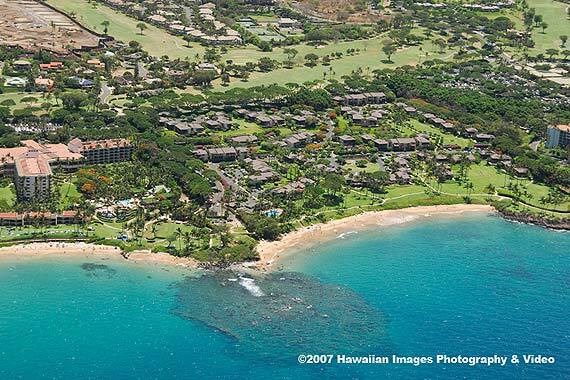 Ulua and Mokapu Beach were at one time separated, but the foliage between the two was removed and the beaches teamed up to double their fun. 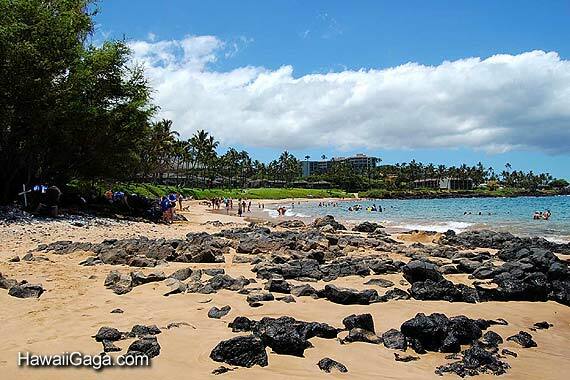 Ulua, the left or southern section, offers better swimming and good snorkeling around the rocky center. This is a very popular snorkel and dive location and you may have to compete with other tourists for the attention of the fish (keep in mind that feeding fish is bad for the reef eco system). Mokapu beach also connects up with Keawakapu beach, so if you're in the mood for a very pleasant and long walk on the beach (about 1.1 miles) this is a good place to start..